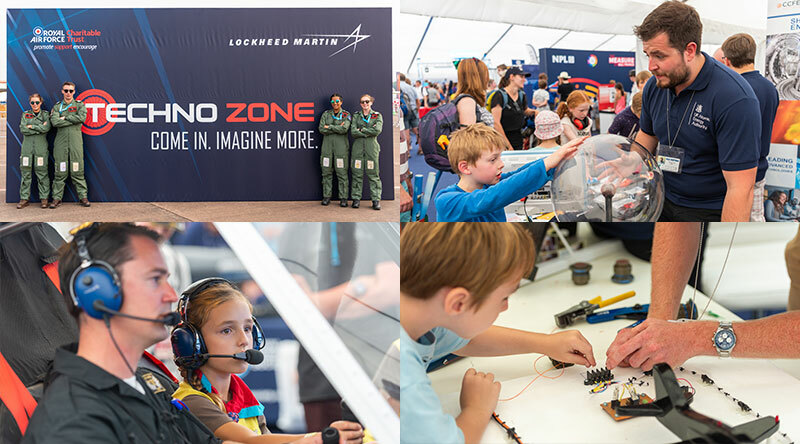 The Techno Zone® has aviation at its heart and is where the STEM subjects; Science, Technology, Engineering and Maths, are brought to life and showcased with cutting edge exhibits and interactive activities designed to engage and inspire future engineers. Tim Peake will attend the Air Tattoo on Friday 19 July and will be at the Techno Zone® to help inspire the next generation! We welcomed Apollo 15 Astronaut Al Worden to the Techno Zone®. Find out more about his visit here! Sixteen local schools competed in the Junior Engineering Challenge final. The children were tasked with building and racing their own car. Fairford C of E Primary School, Ashton C of E Primary School, and Cirencester Primary School all took home awards presented by Gavin Williamson, the Secretary of State for Defence. Find out more here. 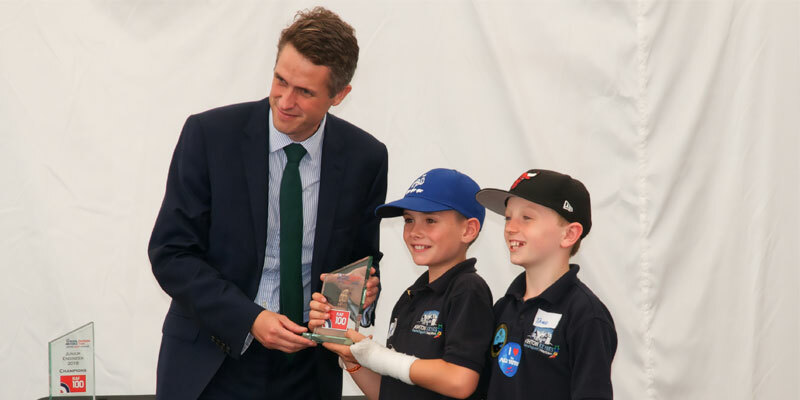 Above: Secretary of State for Defence, Gavin Williamson MP, presenting a prize during the Junior Engineering Challenge at RIAT 2018. Over 20 companies such as QinetiQ, BAE Systems, Airbus, entertained visitors with their fantastic exhibits and displays to encourage young minds to study STEM subjects and an interest in aviation. Find out who visited here. "Fantastic hands on learning for the kids." "Amazing zone and the best offering children a variety of hands on activities for free. Lots of learning and new experiences gained." "I took 3 children, two aged 9 & one aged 17, the Techno Zone® was fantastic, they really enjoyed the zone." "AMAZING!! What a wonderful place to inspire the young folk to think about STEM careers. More of the same please!" Dive deeper into the world of technology and discover more about some of the organisations that exhibit in the Techno Zone®.